Photo: Stephen Ludwig This week on Martha Stewart Weddings, Amy was featured chatting about 13 Ways to Plan a Summer-Inspired Rehearsal Dinner Menu. 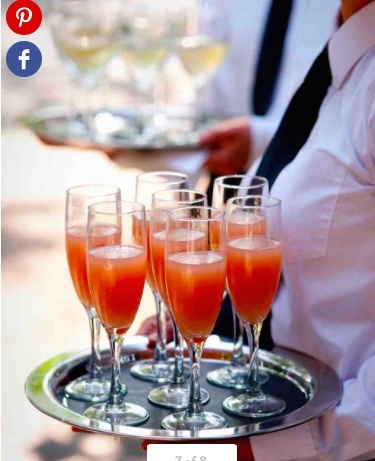 Wedding experts shared tips from focusing on fresh ingredients to embellishing flavored cocktails. Definitely click over and check out #10 to see what Amy recommends! 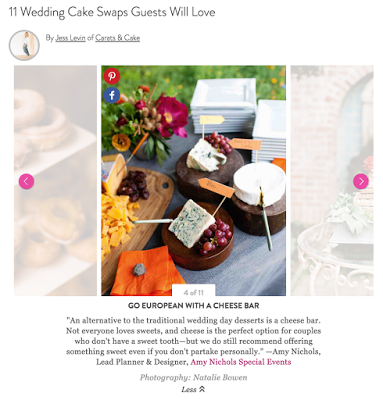 We've been featured over on Martha Stewart Weddings talking about the best kinds of desserts to showcase on your wedding day. A snippet: "Don't pick just one. Create a full display of sweets to adorn your cake. From petit fours to coconut macaroons a wide variety of sweets will make your guest feel the warmth this winter." Oh happy day! 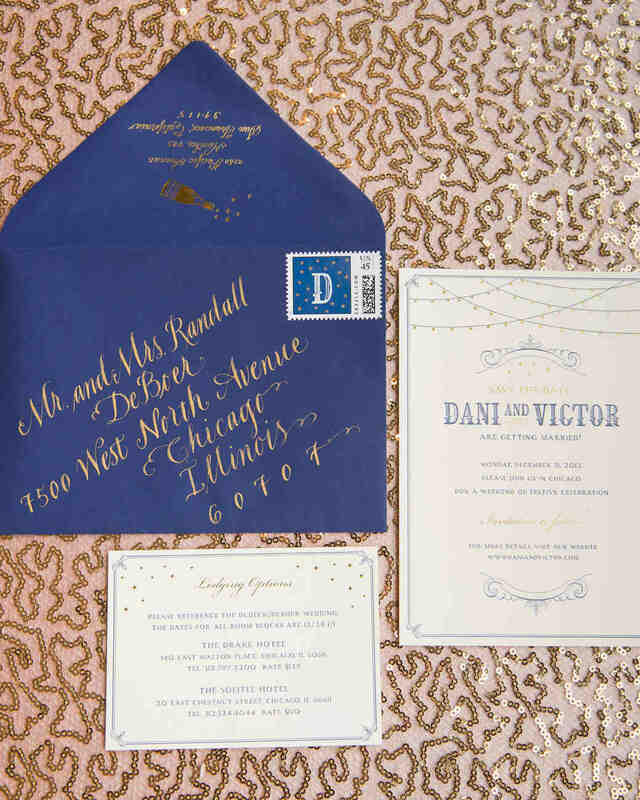 We are thrilled to share that Amy is a wedding industry expert who contributed to Wedding Insiders Share the 9 Biggest Save-the-Date Faux Pas on Martha Stewart Weddings. Brides-to-be, please read this important article before you tackle save-the-dates on your wedding planning to-do list. We like Amy's advice the best, but each one is quite valuable. Take tips from the pros so your dave-the-dates are as informative and as perfect as can be. Please read, then share with your engaged friends and family! We are still over the moon that our wonderful clients' Tropical, Colorful Wedding in Maui was featured on Martha Stewart Weddings! 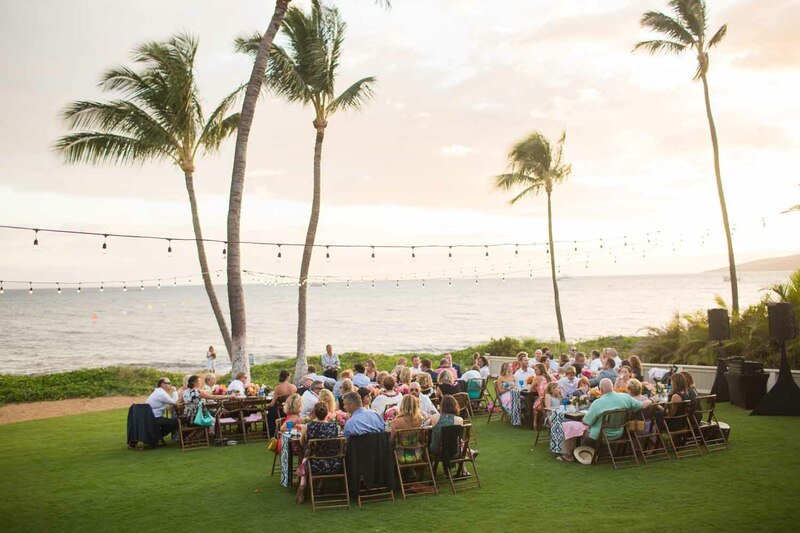 We love, love everything about Christen and Tim's beautiful destination wedding at Sugar Beach in Maui last April. If you don't mind, we'd like to share some of our favorite details with you. Sit back and enjoy the pretty! 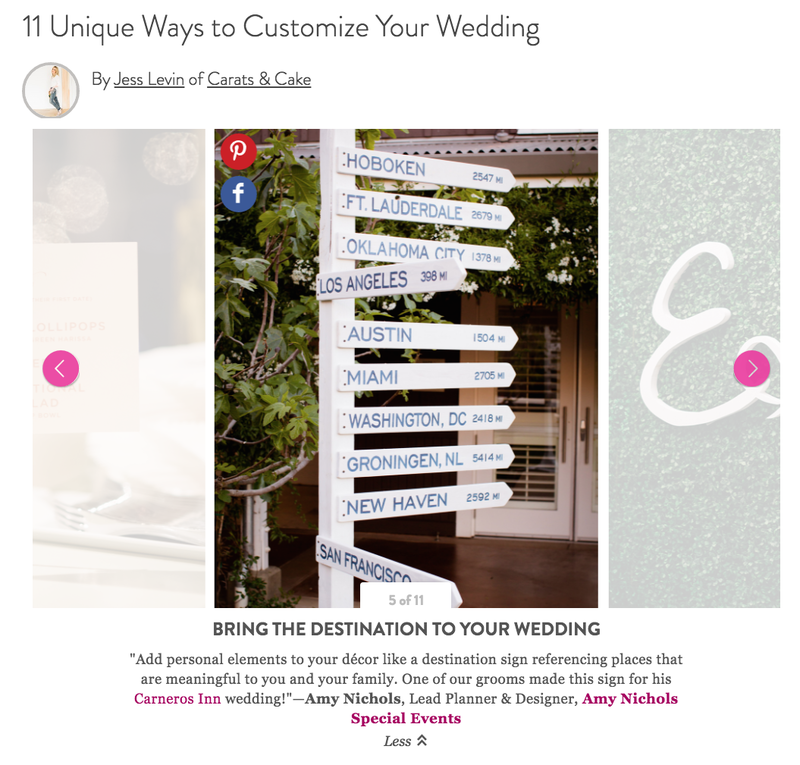 We are pleased as punch that Amy's tip for designing an one-of-a-kind wedding was featured on Martha Stewart Weddings! 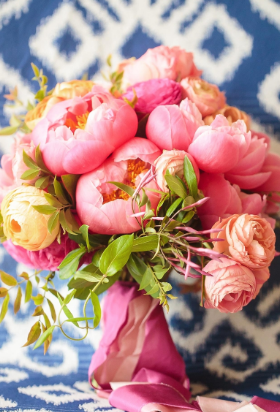 Please take a peek at 11 Unique Ways to Customize Your Wedding for awesome advice from Amy and other wedding industry experts on how to make your wedding not only original, but distinctly yours. Of course, Amy's suggestion is our favorite but we love them all. 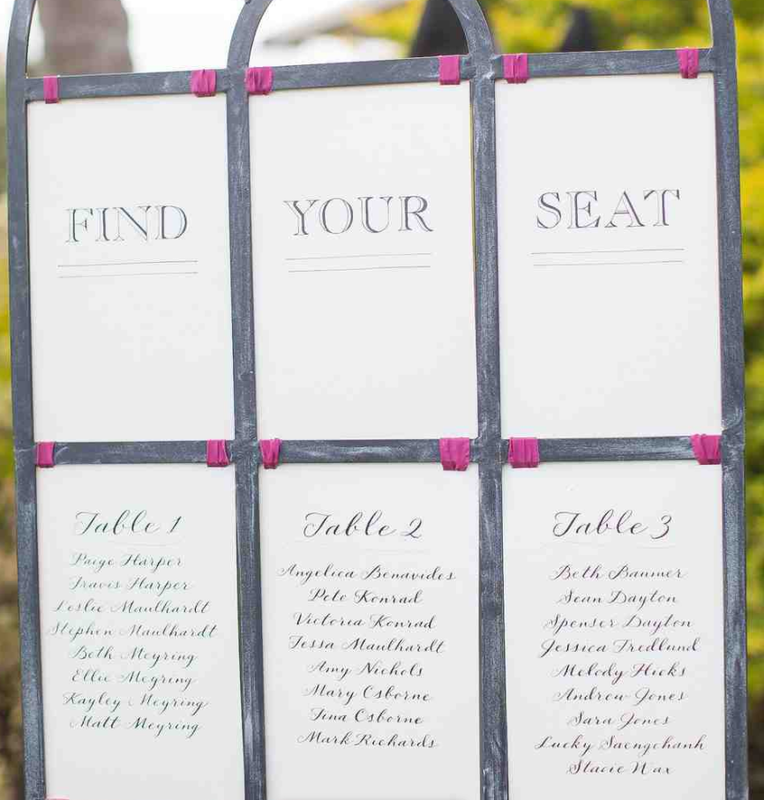 Brides-to-be, if you are looking to make your wedding truly distinct, this helpful article is for you! 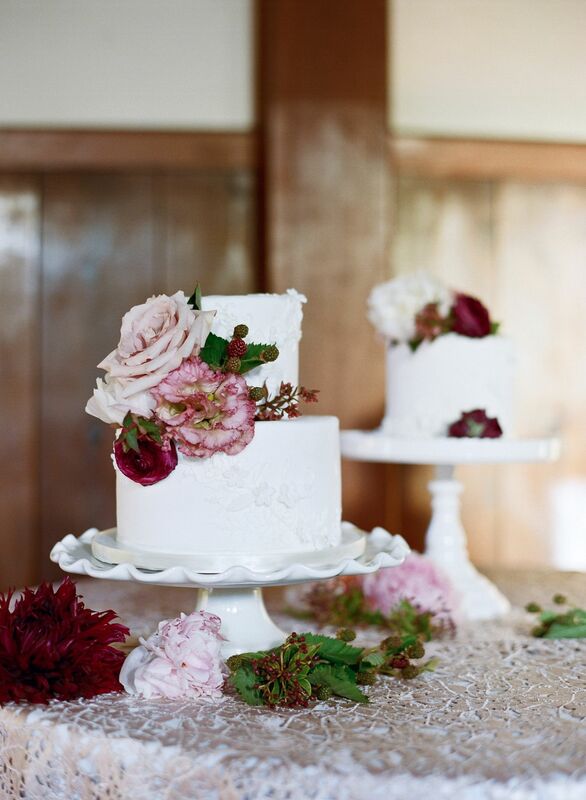 Most weddings end on a sweet note with a traditional wedding cake. If cake isn't your thing, you have plenty of options. Amy, along with other industry experts, offers alternative choices in 11 Wedding Cake Swaps Guests Will Love on Martha Stewart Weddings. From (our personal favorite) a cheese bar to miniature pies and everything in between, there is a wedding cake alternative to please every bride and groom. Each alternative is delicious, unique and fun. Your guests won't even miss the wedding cake! 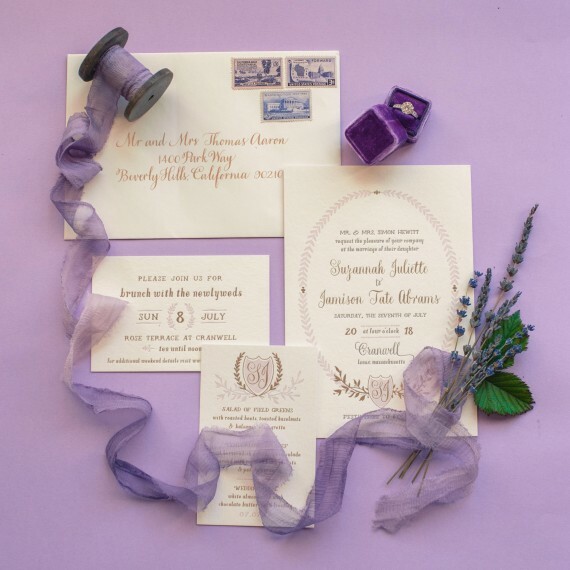 It's always a true honor to see Amy Nichols Special Events mentioned on Martha Stewart Weddings! This time, Amy and other industry experts are contributing their advice in The Dos (and Don'ts!) 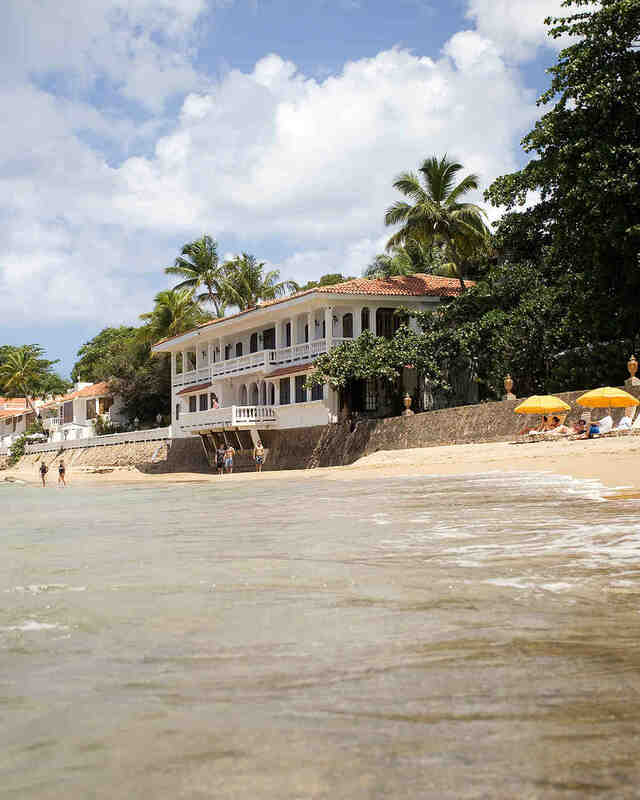 of Engagement Parties on Martha Stewart Weddings. There are things every couple should know about engagement parties and this helpful article has the full scoop. 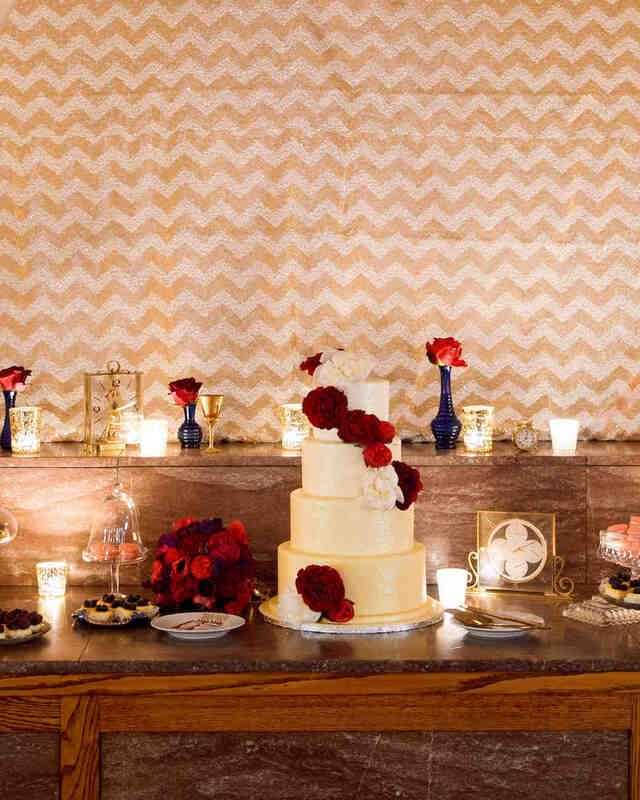 Straight from the pros, each engagement party tip is useful and wonderful, but our definite favorite is #7! 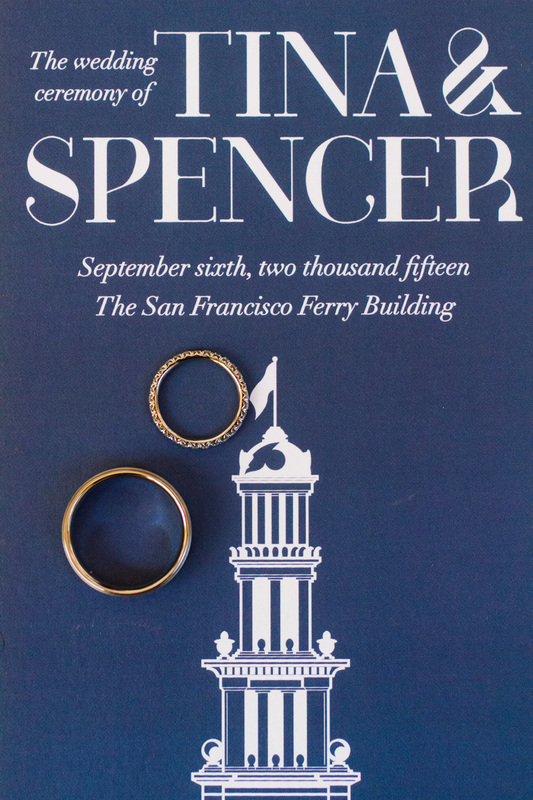 Big congratulations to the newly engaged! 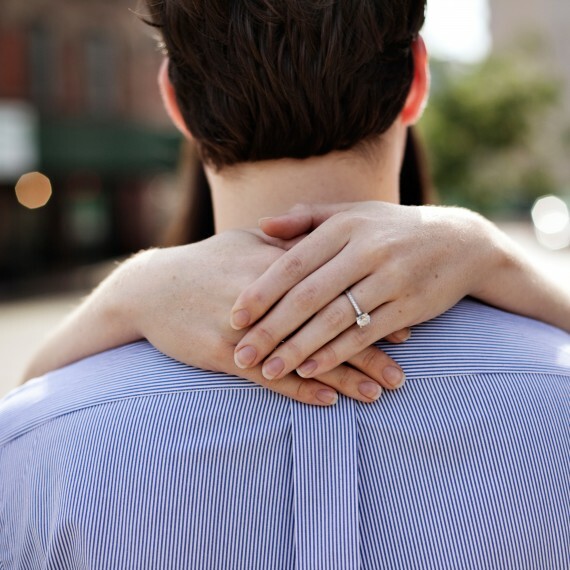 Now that the beautiful engagement ring is on your finger, what's the next step? Believe it or not, what you shouldn't do is just as important as what you should do. 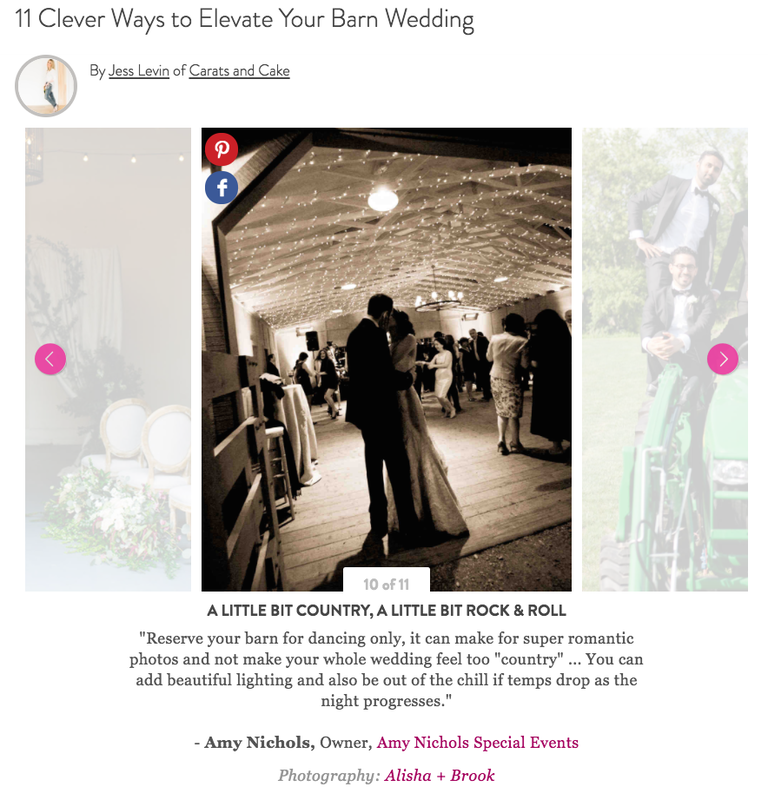 As always, Amy has good advice which she was honored to contribute in 7 Things Not to Do Post-Engagement on Martha Stewart Weddings. 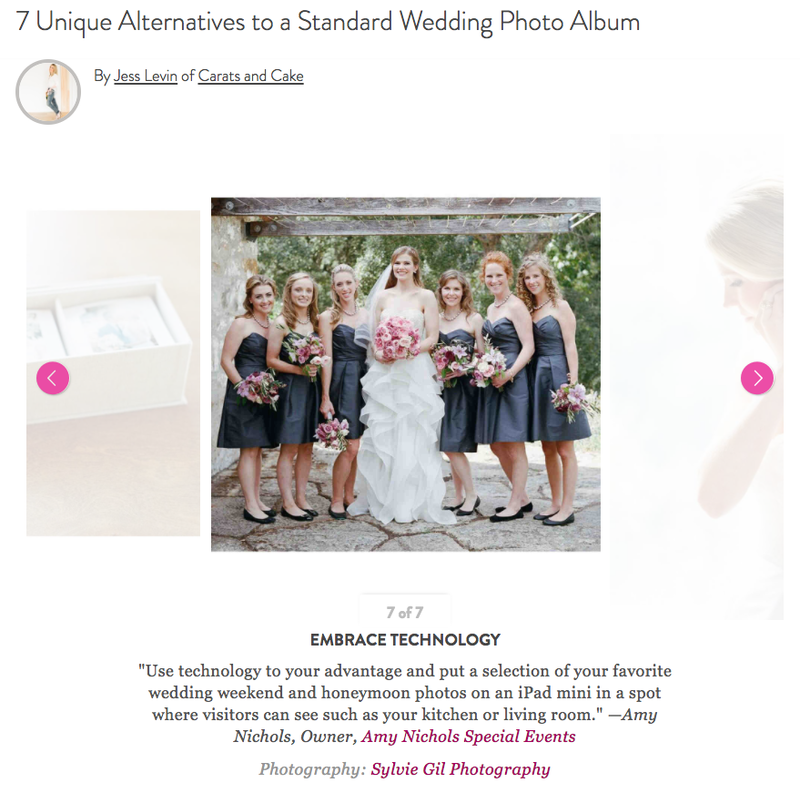 With Amy's tips, every bride will start their engagement and wedding planning on the right track. 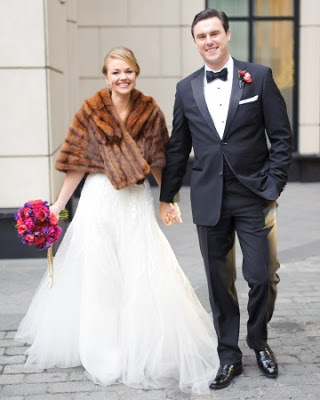 This great article is a must read for brides-to-be! 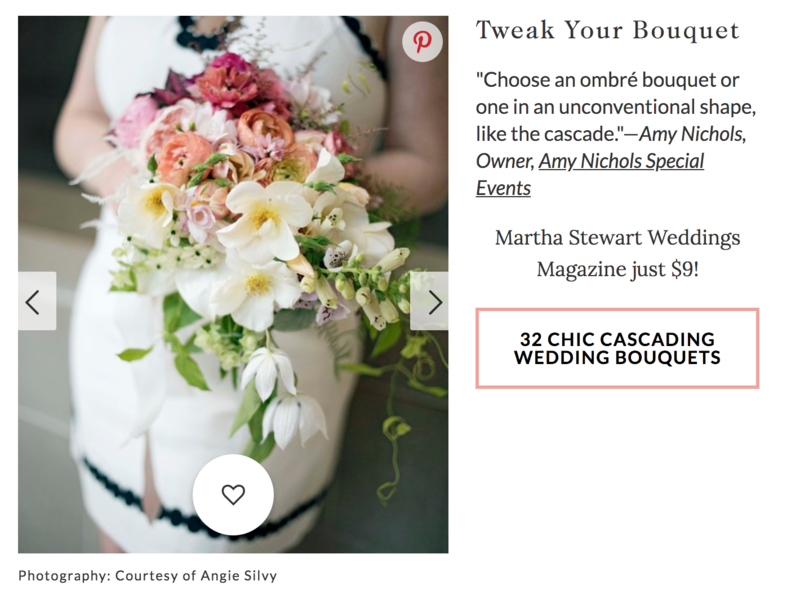 We are thrilled and honored to see Amy's name on Martha Stewart Weddings! This time, Amy is telling it like it is on the wedding planning subject of The 4 Most Common Things Brides and Grooms Fight About. As much as she would love to say wedding planning is all roses and sunshine, the truth is there can be conflict between brides and grooms. Four common problems are identified, along with Amy's wisdom on how to handle them. 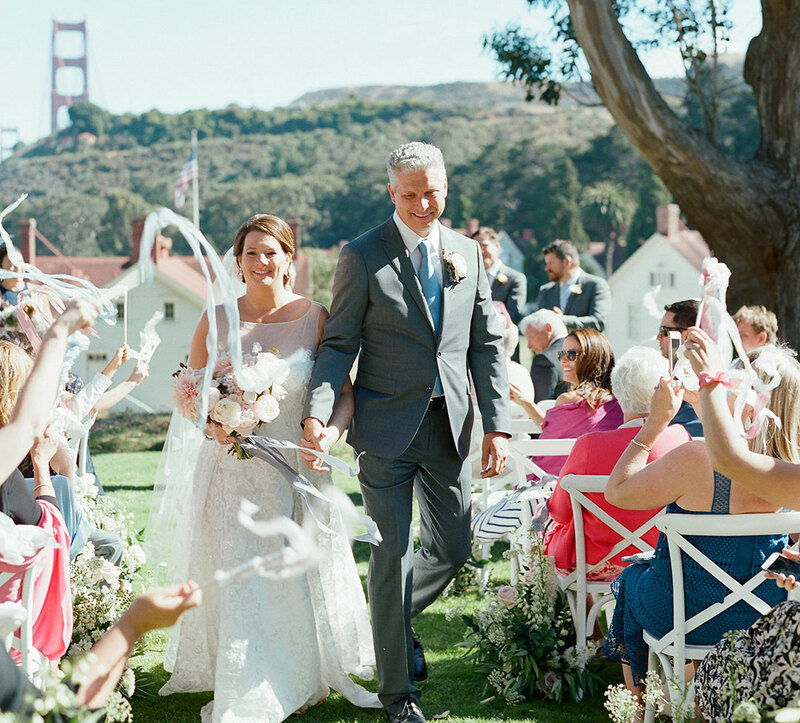 Follow this great advice and enjoy drama-free wedding planning with your partner!